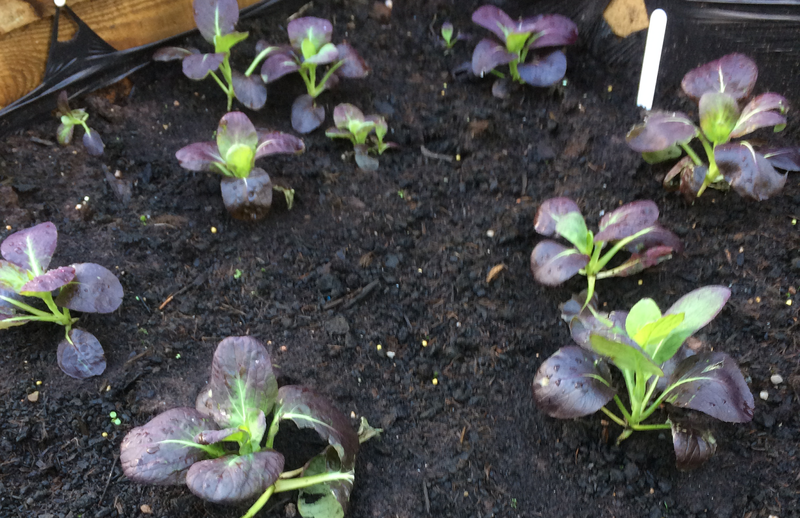 Before breaking up for Autumn last year, the folks from Wheel Meet Again (who look after the Granby Adult Learning Service Garden) planted up some delicious, hardy veggies. These have carried on growing in our absence and are shaping up really well. First up, we've got lush-looking cabbages. The poor cabbage sometimes gets a bad wrap due to it being quite hard to prepare (it can easily become a soggy mess!). But cabbages contain twice the vitamin C of an apple or orange, and four times that of a potato, so don't write it off! Properly cooked, they are delicious and I can't wait to get them harvested in late spring/early summer. Next, we've got pak choi, another underrated veggie! 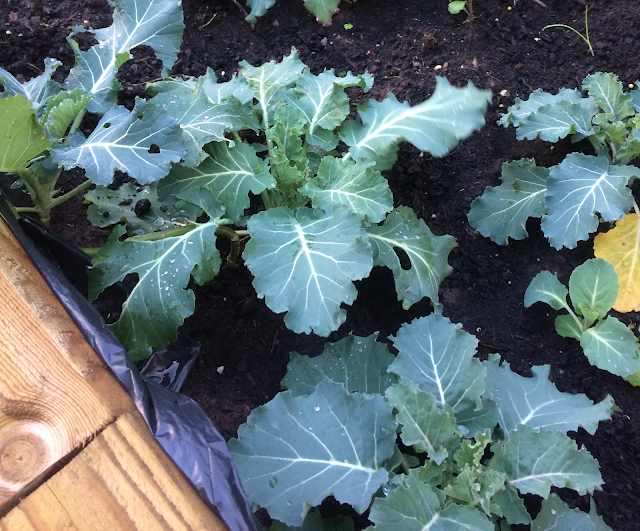 In the same family as the cabbage (the Brassica family), it is very versatile in salads and stir fries - just cut and come again. The cold weather is giving them a respite from hungry slugs, which like to take a break from annoying gardeners during Winter, but we'll have to be vigilant as the soil warms up in Spring!